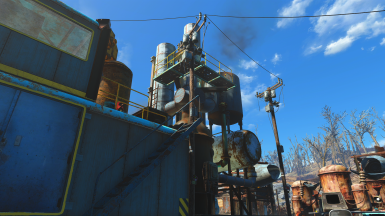 To rebuild the Commonwealth, you're going to need production. It's time to start a new Industrial Revolution! First official expansion pack for Sim Settlements. If you're building add-on packs that require this mod as a parent, you obviously don't have to credit me - it's pretty much implied. Head to SimSettlements.com for more details, and contacting kinggath to talk about the mod! 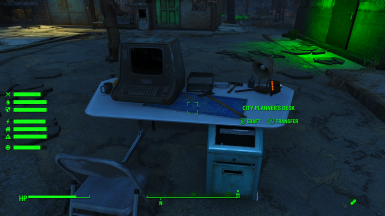 TLDR: First Official Expansion to Sim Settlements. 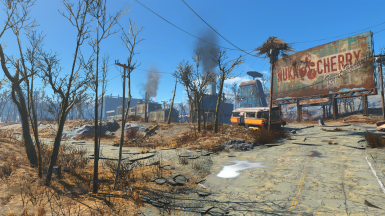 Adds new plot types and tons of new buildings to Sim Settlements. These buildings allow you to take control of your settlement and begin constructing the things you need to conquer the wasteland. Inside many of these buildings are secrets to discover to help you on your adventuring. 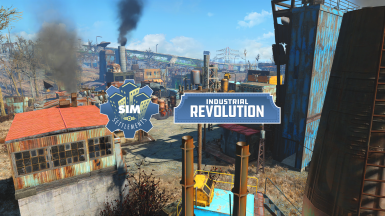 Continuing the goals of Sim Settlements, Industrial Revolution aims to greatly expand the number of jobs available to your settlers and lays the foundation for your settlements to have a massive impact on your gameplay outside. It also introduces more in-depth game-play for those who want to micro-manage, while maintaining the simplicity of the plot-based building. This is an Expansion Pack - and will always require the latest version of Sim Settlements, whenever you update this, be sure to also update Sim Settlements. I'll be releasing several videos related to the mod each week, covering things like usage, future changes, and patch notes. There are already a ton of videos describing a lot of details on how the mod works if you want to learn some of the nitty-gritty! Subscribe to my channel on Youtube: https://www.youtube.com/channel/UCrJVV5zL_CBWD4KbAptNi7w to be notified when new content is released! 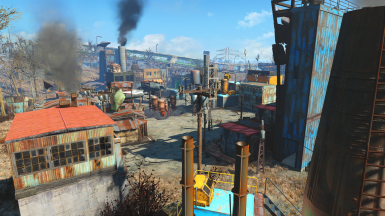 Sim Settlements adds a new way to build your settlements that is a lot faster than vanilla, but the settlements still feel disconnected from the rest of the game and generally don't matter much in the grand scheme of things. With version 1 of Sim Settlements, the mod provided a new way to build settlements, allowing you to lay out a master plan, but letting the Settlers handle the details. 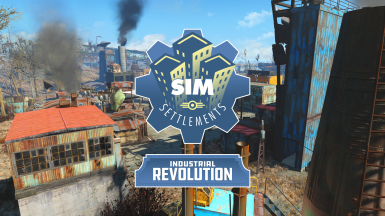 With version 2, and the Industrial Revolution expansion, Sim Settlements gives you the tools to take finer control over your settlers and get them producing the things you need. To help bring a truly industrial feel to your city, Industrial Revolution is loaded with animated machinery, smog-churning buildings, and custom sounds. These new plot types provide defense and happiness, respectively, so you can have more direct control over the needs of your settlement without the need for cheat items or turret spamming. New Upgrade Pattern: At the start, Advanced Industrial Plots work the same as a basic Industrial plot by "mining" a resource, for example - a Lumber Yard will gather wood. When the building upgrades, instead of just becoming a more complex structure for harvesting that material, the settler will take that material and process it into something more advanced for example - metal ore could be converted into Steel. When the building upgrades again, the settler will use that processed resource to provide a product or service. For example - Nuclear Material could be used to create a power plant. Branching Upgrades and Tech Trees: Not only do these buildings follow a new pattern, but they now have variations at each level. In the initial release, every Advanced Industrial building has two possible paths at each level, for a total of 35 possible buildings from this plot. Many of these buildings are linked to each other, the more you build, the more options you unlock. Resource Stockpiling: You can now have a direct influence over how fast these plots upgrade by helping the settler stockpile additional resources, or take away their resources and use them for yourself. You can now directly select the types of buildings you want constructed to take full control over how your settlements are developed. Or you can let the settlements continue to grow organically- the choice is yours! 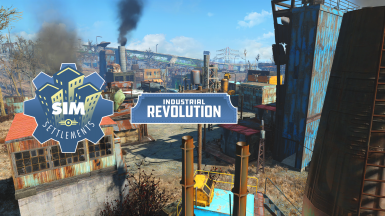 Many of the buildings in Industrial Revolution have secrets to be discovered and new items to unlock - such as new unique skill magazines and consumables. The framework has been greatly expanded, you can now not only create your own buildings for Sim Settlements, but also add new tech trees and custom resource generation. Check out the Builder's Toolkit page! If you're interested in releasing your own AddOn Pack of buildings for Sim Settlements or just contributing to the mod, check out the Builder's Toolkit which teaches anyone at all, even those with out modding experience how to do so! Q - What makes this an expansion pack? A - The expansions are designed as a space for me to explore a huge theme with Sim Settlements. The expansions won't be limited in size, and will also include massive game-play changes. By making these expansions, you get to choose which parts of Sim Settlements to use. Q - Are you going to make more expansions? A - As of right now, I have 3 additional expansions planned - so long as real life co-operates I'll continue to build more of these! Q - Will you release an all-in-one version with the main mod and the expansion packs? A - Yes, in time - I have to do a lot of testing to make sure you can easily switch over to an all-in-one without losing your buildings and that it won't be too difficult to manage from an updating standpoint. A few of the buildings have some strange collision bugs or flickering, these will be fixed in a future update. Del Chupenebray - Sound man! Seriously, this expansion could not exist without him! Halo1m and scivirus - Saving the day with some last minute sound work! Woodfuzzy, Krazyhorse and damanding for finding serious bugs and getting me the save files and reports needed to get everything running seamlessly! Ethreon for many of the models and animations! mimaef for building all of the Metal tech tree buildings! RuinedWorld, Fuji, and Cynical_Bounce for the custom skill magazine art and newspaper header! DropkickCleary, FatalSyn, IAmTheDanger, Kefke, and WeiseDrachenJaeger for the New Bugle newspaper! Troy Irving for the custom drinking animation! frogprincessQ4 for the bird textures! qwertyzeldar and VigilanteSilver for face design action! Kefke for the quest dialogue - SHAAUUUUUUNNNN! Shoeburglar for the insane weapon model for Euclid's C-Finder! MikeMoore for giving out awesome modder's resources! ladygumdrop for busting out terminal entries like it was her job! 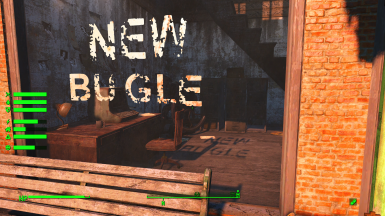 Danger, Reann Shepard, superweevil, LaidBackNinja, and Marc Eastman for expanding the New Bugle to cover all of the DLC! Jared Gilpin aka BusinessVulture - Master dungeon builder! VanashePanda for the awesome animations that occur in the distillery!